This service includes up to five applications. Application invervals are timed for best results. Our program is designed to initially increase, and then maintain the health and vigor of your turf with visits tailored to the needs of your property. Turf areas are inspected regularly for signs of insect or fungal activity and if we find a problem we will notify you with pricing for curative treatment. All visits are coordinated with your mowing schedule for optimal results, and are applied by a licensed applicator per Mass. State Law. Our Custom Lawn Care package is just the first step down the the road to a thick healthy lawn. Below are additional services we recommend for best results. Apply systemic insecticide during the emergence of adult beetles to prevent population thresholds from growing to damaging levels. Grubs that eat turf roots are the larval stage of several species of beetle common in Massachusetts. Some species of weeds; like nutsedge, violets or ground ivy: need special applications to achieve complete control. Spot treatments are also helpful to eliminate well established patches of clover and other perennial weeds. Did you know annual fall lime applications improve fertilizer uptake? It’s true, optimum pH keeps nutrient particle readily available to plant roots. Broadcasting lime at a maintenance rate in late fall will help keep your soil pH within its optimum range. Aeration relieves soil compaction. Annual aeration allows for better water penentration and air exchange in the root zone. Liquid aeration is also being used depending upon the condition of the turf being treated. In some instances where turf is very compacted and/or has thick thatch a combination of liquid and mechanical aeration will be suggested. Overseeding in conjuction with a fall aeration insures that your lawn contains young, viable grass with the latest genectic breakthroughs. Your turf will have the best heat, drought and compaction tolerance available. 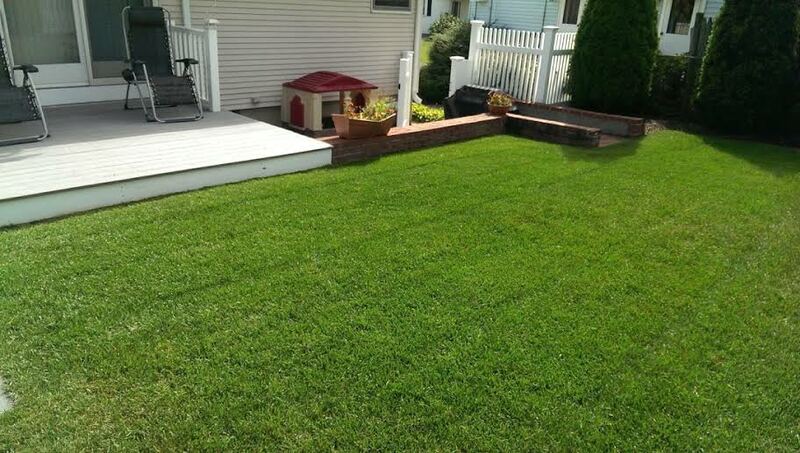 Speak to our Turf Experts to determine what is best for your lawn! Ready to get your Custom Lawn Care started?